Do you know that feeling when you are told your questions about student privacy are unfounded by a representative of a company that earns 86% of its total revenue from advertising? I do. The thread on this tweet has the details. Also, this week, thanks to my invited participation in the National Governors Association regional summit, Meet the Threat: States Confront the Cyber Challenge, I published a new post “How Should We Address the Cybersecurity Threats Facing K-12 Schools?” And, I also (unfortunately) needed to update my post on the W-2 phishing scam victimizing school districts across the country. Otherwise, here’s what caught my eye the week of March 13, 2017 – news, tools, and reports about education, public policy, technology, and innovation – including a little bit about why. No endorsements; no sponsored content; no apologies for my eclectic tastes. A consensus is growing in China that the problem must be addressed, which surely would have global benefits. An (ill-informed) take on Apple v. Google school device market sales trends. Schools are large enterprises with specific needs not well-suited to generic consumer devices. You don't have to be Chromebook fanboy to appreciate what they got right. "We were saying technology helps students cheat, now, we’d say it’s helping them understand unethical behaviour better than ever." Battle High School students and teachers have had iPads since the school opened in 2013. But the iPads will be discontinued next year in favor of the Dell Latitude Education Series (3160) touchscreen laptop computer. The proposed budget calls for $200,000 to fund a pilot of the department's "one-to-one" technology initiative, which would provide Chromebook laptops to all ninth- and 10th-grade classrooms, and the equivalent of one full-time staff member. Every school district in the state gets a cut of the $2 billion NY state bonds approved by voters in 2014 to enhance technology in schools. But school district leaders are not of one mind of how to best spend the money. Garnet Valley is a district in the vanguard of a nationwide movement to ditch traditional textbooks for open-source educational resources on the web. Along with budget savings, which can reach hundreds of thousands of dollars in a district, proponents say it gives teachers more freedom to custom-tailor curricula and allows students to learn where they’re already most comfortable - on computers. Specific to the Boulder, CO-area, but useful overview of cybersecurity trends. If you care about student data privacy, worth the read and worth signing up for the email newsletter. A key tool used by college students to apply for financial aid was pulled down by the Internal Revenue Service this month as a result of “criminal activity,” said U.S. Rep. Lloyd Doggett, (D- Texas). A new study casts doubt on whether such technologies shield young teenagers after finding no link between homes with internet filters and the likelihood of the teenagers in those households being better protected. Studies are always helpful, but this should already be understood. Nonetheless, internet filters represent terrific security theater. The investigations into the cyberattack that disrupted the Education Quality and Accountability Office's (EQAO) online Ontario Secondary School Literacy Test (OSSLT) on October 20, 2016, confirm EQAO's original conclusion that a targeted Distributed Denial of Service (DDoS) cyberattack was the cause of the technical issues that led to the cancellation of the OSSLT in October 2016. Career Academy at Truman High School and the Open Doors Youth Reengagement program, formerly known as Acceleration Academy, will teach students through a competency-based model. For the second year in a row, the school district has partnered with Tech Exchange (TX) to bring free technology to families in the city of Pittsburg. The partnership aims to bridge the digital divide in Pittsburg by offering parents refurbished computers free of charge. This is terrifying: Kurt Eichenwald, a journalist who writes for Vanity Fair and Newsweek, tweeted Friday that the FBI had arrested a man suspected of purposefully sending him a GIF that triggered an epileptic seizure. To upend the perceived shortage of talent, tech companies have begun to evangelize for open-source AI code, or software that’s free to use, modify, and improve upon. If it’s free to play with, and easy to learn about through communities working to improve the open source code, the assumption is that more people (and younger people) will start to get interested in working with AI. This article examines the matrix of vulnerabilities that low-income people face as a result of the collection and aggregation of big data and the application of predictive analytics. "We don't want kids thinking Google has built spyware.," says Google Family Link manager Saurabh Sharma. There is reason to wonder, nonetheless. Dan Meyer says, "This isn’t good instruction. It isn’t even good direct instruction." Readers respond...with gusto. Applicants preparing FY2017 E-rate funding requests have been confronted with another challenge from the EPC system: disappearing forms that leave the applicant unable to find (and finish) their Form 471 application. A federal judge in San Francisco on Wednesday slammed a legal settlement that proposed to pay $2.2 million to lawyers, but nothing to consumers who had the contents of their email scanned by Google without their knowledge or permission. "The fate of the videos is sad, but it feels like it's also a quirk of history," says Cory Doctorow. Together, Ravenna and Education Brands say they will become “the premier provider of cloud-based software and payment solutions to K-12 private schools." At $340,000, kindergarten, first & second-grade students get 'ultra-modern' tablets. The more than $36 million purchase includes 35,700 Hewlett Packard Student Chromebook 11 G5 laptops, 3,570 HP Educator Probook 430 laptops and 9,505 iPad Air 2 tablets. That's a lot of computers. "Recently, we are focusing on educational technology industry. It is a massive innovative market with supportive government policies and strong market demand. Science, technology, engineering, and mathematics and arts education is developing rapidly," said Shenzhen Capital Group in a statement. Rosetta Stone, the education technology company known for its software designed to help people learn other languages, has announced a number of layoffs impacting employees at their Harrisonburg office. Digital exclusion is a growing problem in the United States – about one-fifth of Americans don’t have internet access at home, according to 2015 U.S. Census data, and the divide among states in internet accessibility is apparent. At least two more school district employees report being identity theft victims after successful W-2 phishing attack. Ofsted has warned the UK schools community to be vigilant over phishing emails and other online fraud. Redmond School District officials say follow-up phishing attempts at tax fraud arriving in employees’ mail boxes. Wishbone, the social media-based quiz app for teens and young adults, has been compromised, leading to more than 9.4 million records going up for sale on the Dark Web. Scott McLeod says, "I wish we had far fewer tools sessions and much more discussion about technology for the purpose of what?, with an emphasis on the what of deeper learning." Penn Manor’s open source way might not work for every district. But it’s innovative, it has cut costs, and it has improved students’ education in the process. Other districts ought to consider the possibilities. The Bettendorf district has changed to using Chromebooks. One of the larger state/regional edtech conferences targeted to educators. The Arizona Corporation Commission approved changes to the Arizona Universal Service Fund to support an innovative program connecting the state’s rural schools to the internet. A portrait of edtech entrepreneurship in Kenya. According to the Jim Wells County Sheriff's Department, school administrators with Ben Bolt I.S.D. emailed W-2 forms and employee information to a person posing as the superintendent. The $153 million preliminary budget includes $4 million in new and expanded education initiatives, including the proposed “one-to-one” initiative on Chromebook leasing. I remain skeptical that leasing low-cost Chromebooks represents a good deal for schools. Publishers unanimously agree that digitization is critical to business growth but are experiencing confusion and frustration at the complexity of the journey. A reallocation of funds allowed the district to put an iPad in the hands of each of the district's 12,000 students at the start of the 2016-17 school year as part of a program that officials spent five years fine-tuning before they launched it. In virtual and physical stores, retailers are tracking customers' buying habits, biometric information, and personal preferences. And few consumers even know they are being watched. Elana Zeide writes a compelling piece touting the importance of ethical practice standards in collecting and using data about students. The Ark City school district and its employees were recently the victims of an online phishing scheme in which certain employees’ tax account information was compromised. Says Tim Berners-Lee: "I’ve become increasingly worried about three new trends, which I believe we must tackle in order for the web to fulfill its true potential as a tool that serves all of humanity." What we have now in consumer tech, in 2017, is an oligopoly, at least superficially similar to the old industrial-era American corporate groups that once dominated key industries. Administrators in both Pueblo City Schools (D60) and Pueblo County School District 70 have in place long-standing policies that govern students' use of cellphones in school situations. And the bottom line is this: While students are welcome to possess cellphones, they are not to be powered up in class, in the locker room or during any part of the educational process. A story more about the flow of money and gaming school accountability then about helping kids. The UK's data watchdog is planning to hire hundreds more staff to enforce a strict new regime that will crack down on the mishandling of consumers' personal information. It is all part of a trend in Australian classrooms towards behaviour management apps that reward, penalise and compare young students; collating scorecards and data instantaneously in the process. For experts, these sorts of apps come with privacy and best practice teaching concerns. 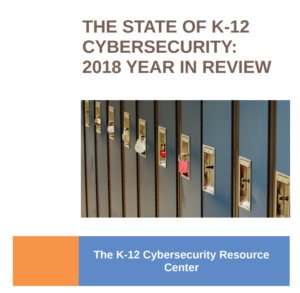 "The Polk County (FL) School District's student information system is an outdated security risk that's vulnerable to data loss and breach."